Great vision--like none I have ever seen! Perfection seems to be his #1 goal. Dan listened to my ideas and then brought them to life! 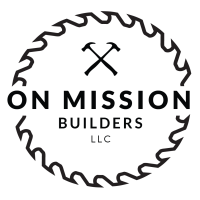 Founded by Dan Mickleson, On Mission Builders specializes in home remodeling and project management. With over 20 years of experience in building, we provide quality craftsmanship with an excellent customer experience.